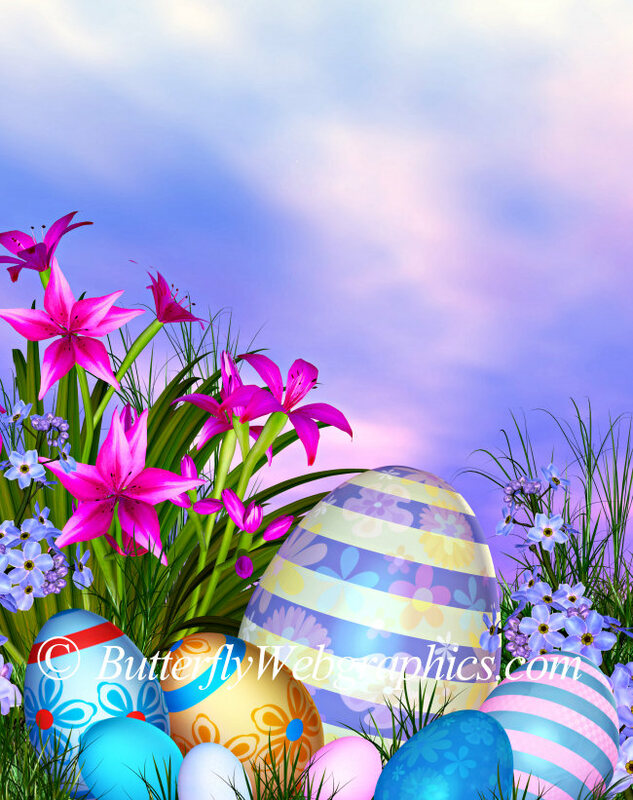 Lots of festive Easter backgrounds! 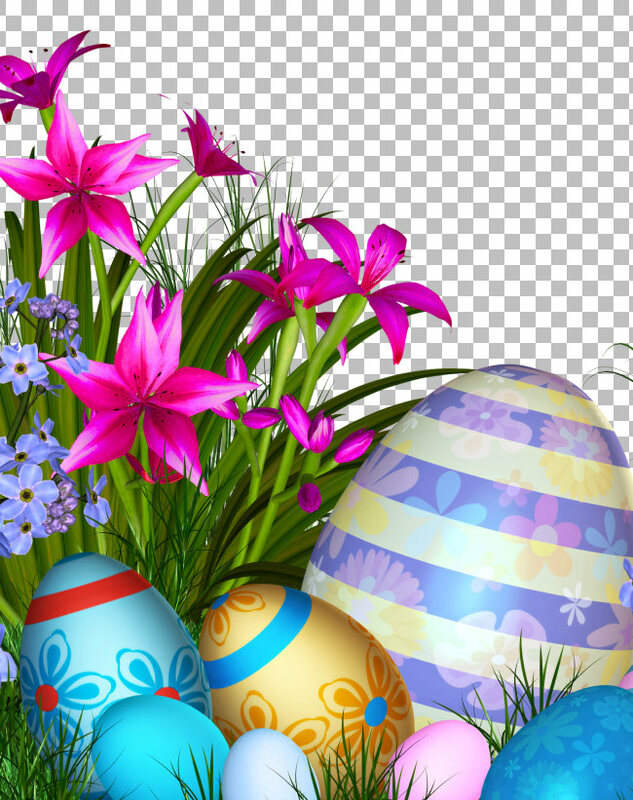 Put these eggs in your design basket. 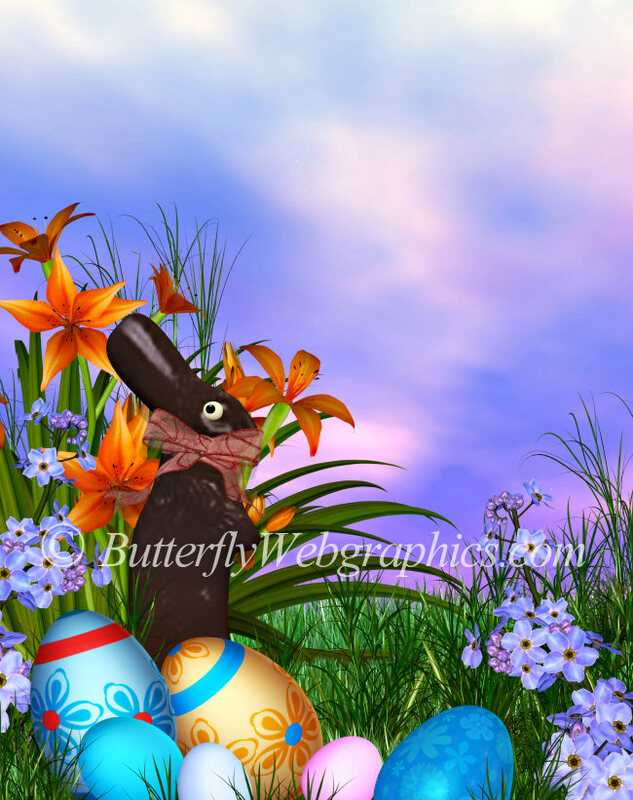 And hop to some eye-catching Easter designs. Two seamless tiles are also included. 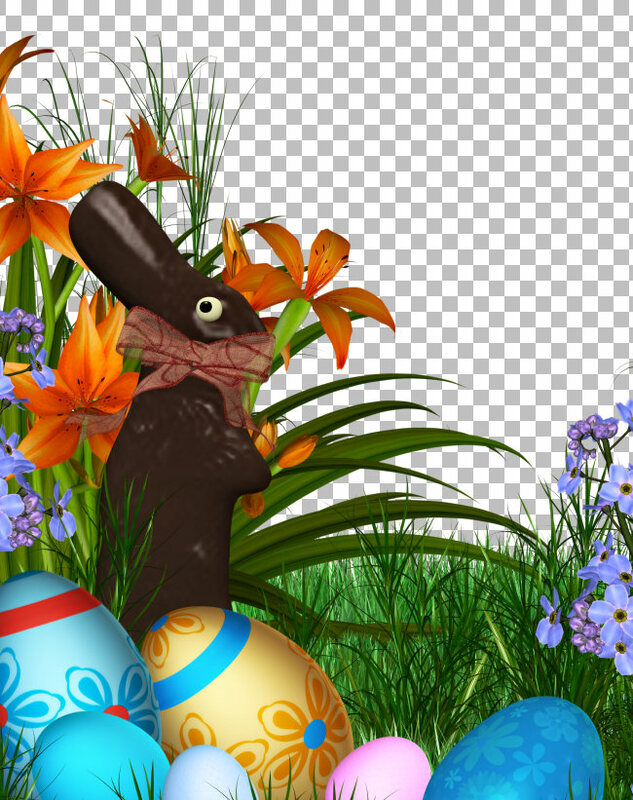 A version of each scene is included with a transparent background. You can add a sky and create a unique design. Not all are shown. 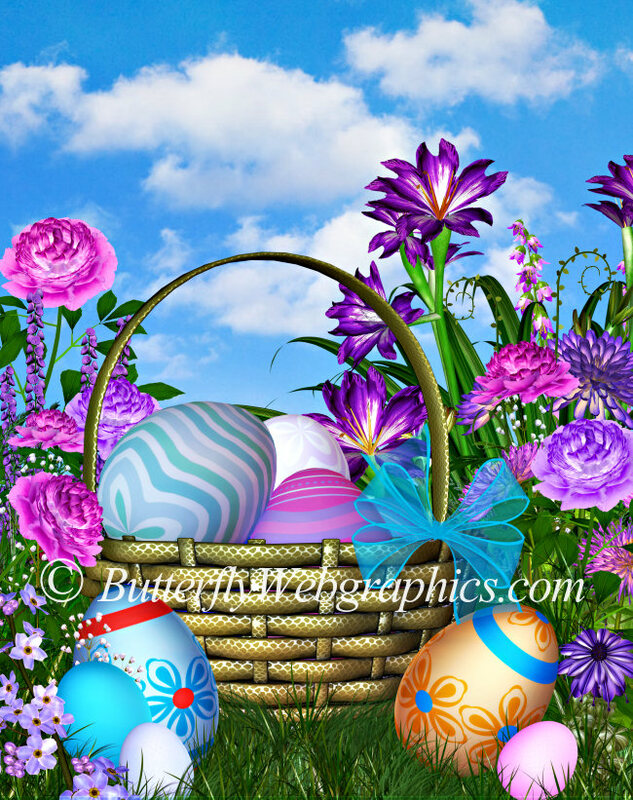 Hop to a cool Easter scene with these rocking graphics. 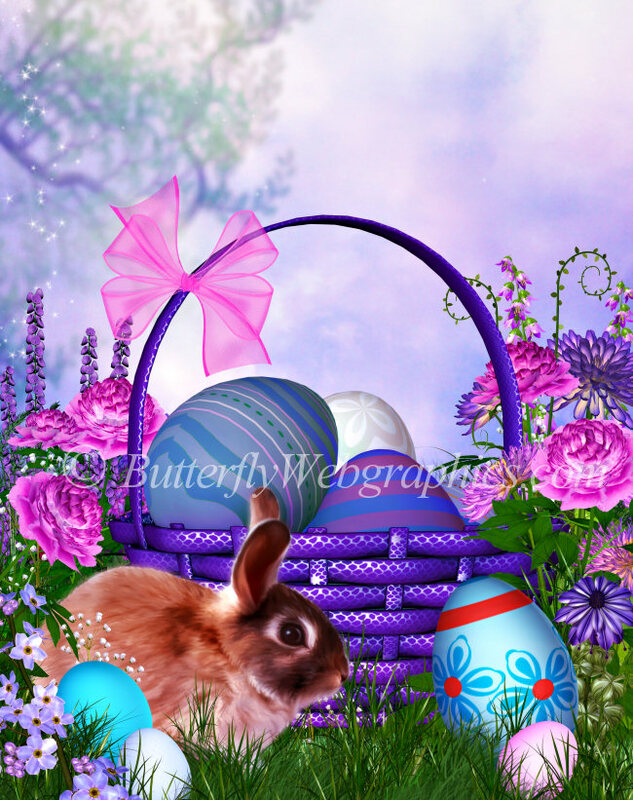 Easter will be here before we know it, and this background package will help you get started on your holiday designs. It contains 7 large backgrounds that you can use as is or add elements or characters of your choice. 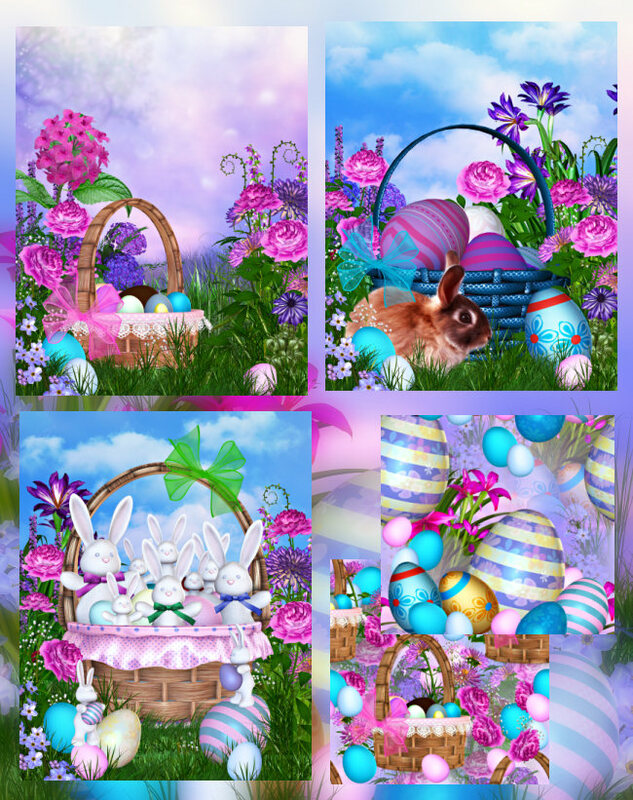 I’ve also included versions of these scenes that have the main images but are on a transparent background so that all you have to do is add a sky of your choosing. 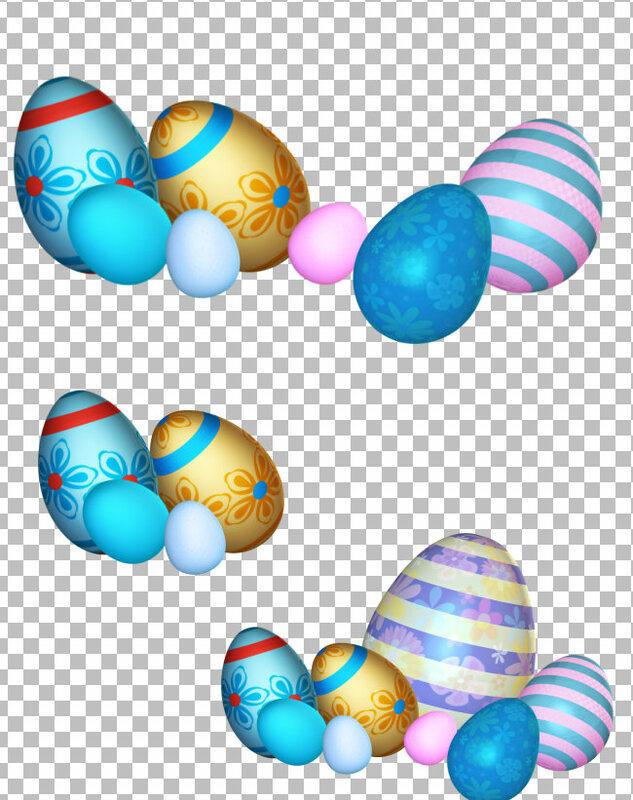 Some Easter egg clusters and two seamless tiles are also included. The size of these images varies, but the backgrounds are 2850 X 3600 pixels. All are 300 DPI, making them great for print projects. Members can use the tubes for personal or commercial projects, including web design, template design, candy wrappers, scrap booking, etc. This package is four zip files which are about 26-56 MB each.